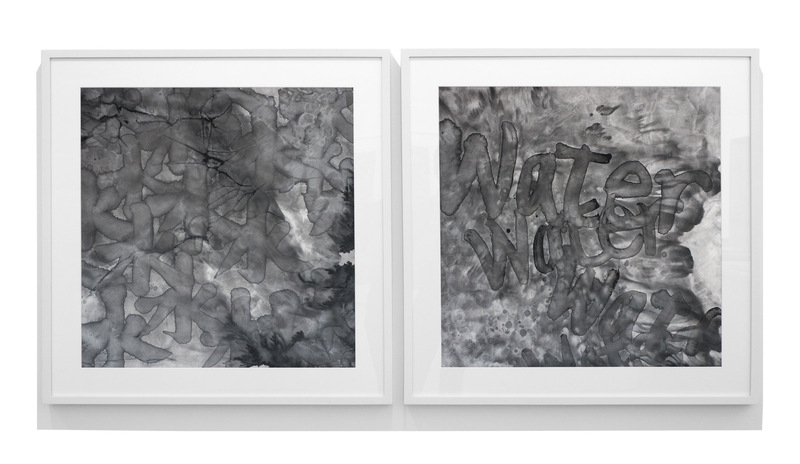 ZHANG JIAN-JUN, Water-Water, 2002, sumi-ink on rice paper, diptych, 26 3/4 x 26 3/4 inches (67.9 x 67.9 cm) each. GWENN THOMAS, Kino III, 1994, photo emulsion on linen, 37 1/4 x 28 1/2 inches (94.6 x 72.4 cm). 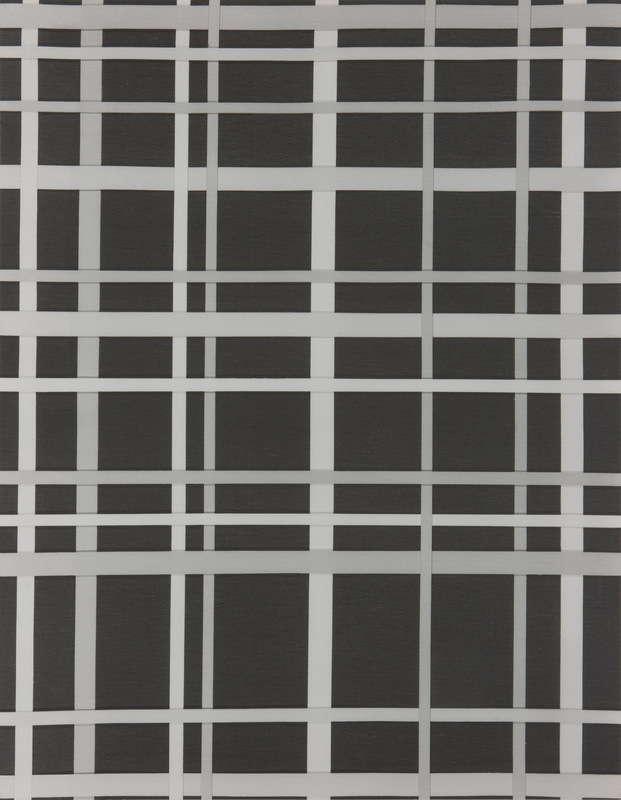 GWENN THOMAS, Long Dream, 2006, pigment print on canvas, 41 x 27 inches (104.1 x 68.6 cm). IL LEE, Untitled 978 W, 1997-98, ballpoint ink on paper, 80 x 59 1/2 inches (203.2 x 151.1 cm). IL LEE, BK-1201, 2012, ballpoint ink on paper, 63 1/2 x 47 inches (161.3 x 119.4 cm). 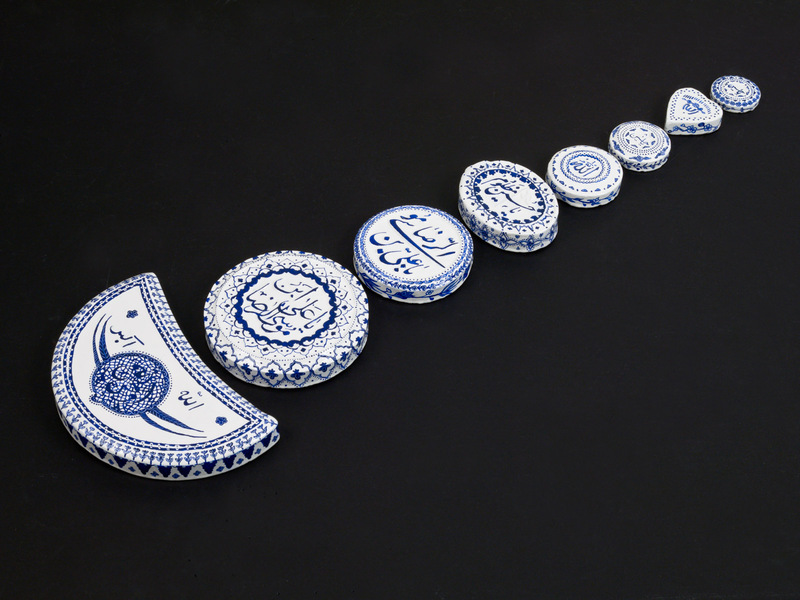 POURAN JINCHI, Prayer Stones, 2011, baked clay and lacquer paint, collection of eight works. 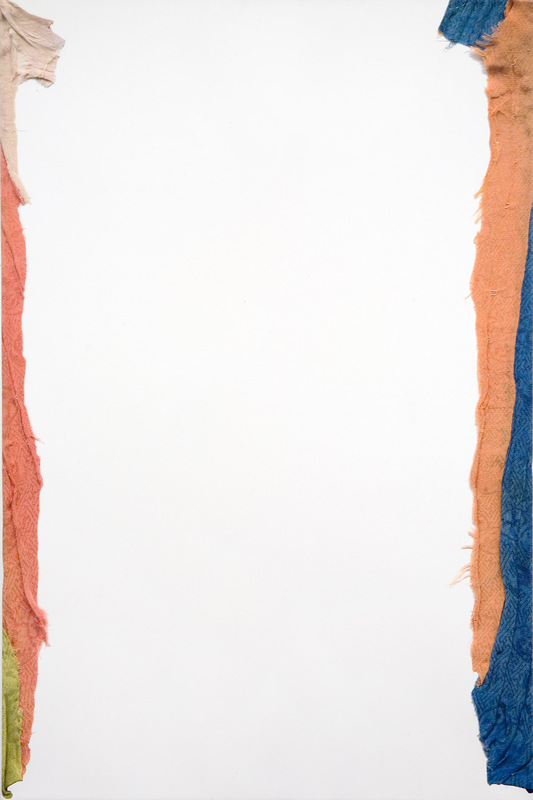 RICHARD TSAO, Salty Sea, 2010, water-based mixed media on wood, 14 x 37 inches (35.6 x 94 cm). 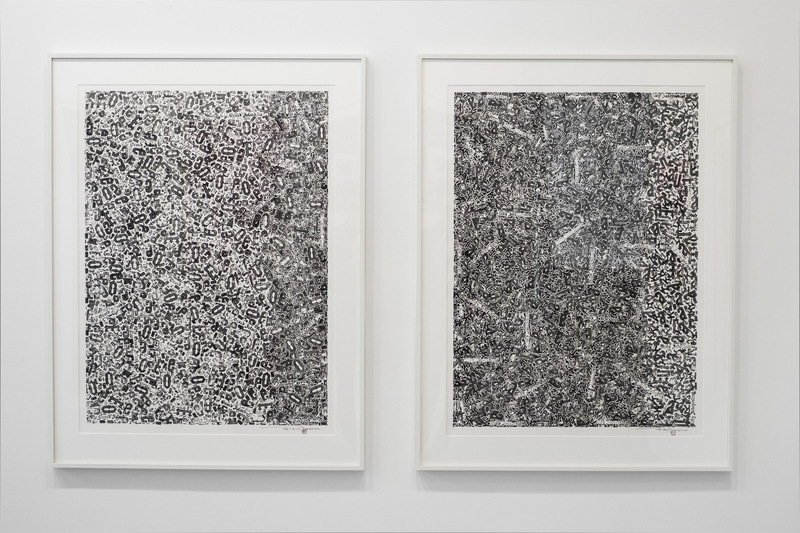 Zheng Xuewu, East and West 1 and East and West 2, 2012, mixed media on paper, each: 43 x 31 inches (109.2 x 78.7 cm). MYONG HI KIM, Winter, 2013, oil pastel on chalkboard, 83 1/4 x 48 inches (211.5 x 121.9 cm). 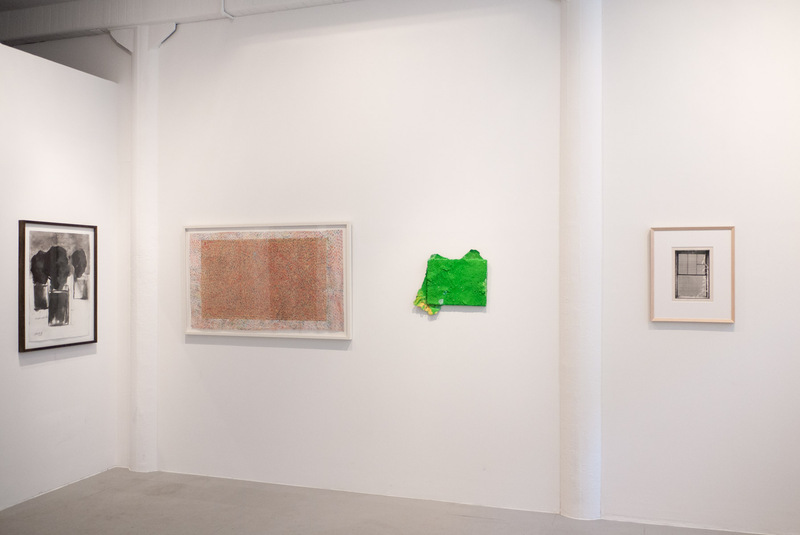 Installation view of 20 Years: Art Projects International at Art Projects International, New York, 2013-14. 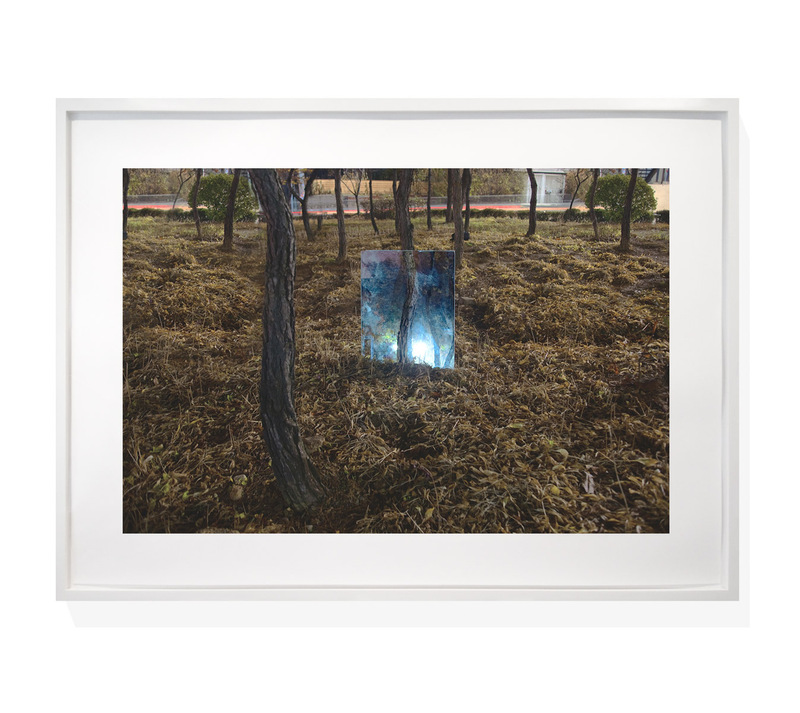 SEOKMIN KO, The Square 11, 2010, limited-edition archival pigment print. 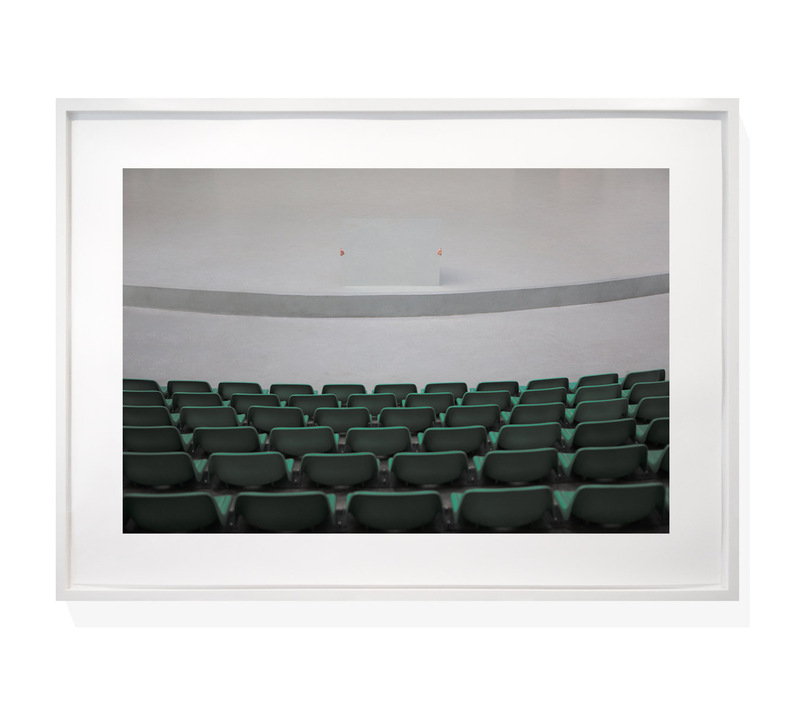 SEOKMIN KO, The Square 08, 2009, limited-edition archival pigment print. 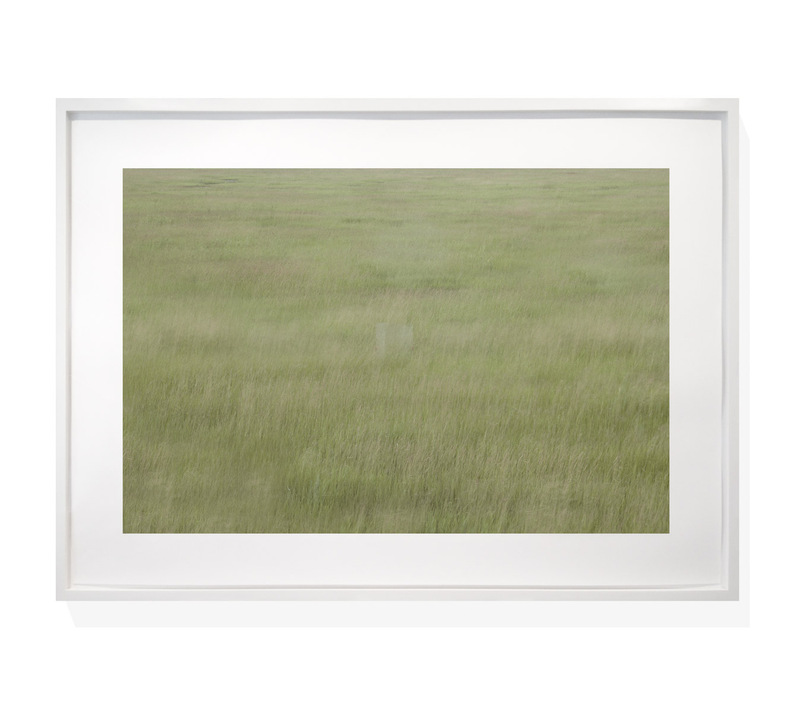 SEOKMIN KO, The Square 05, 2010, limited-edition archival pigment print. 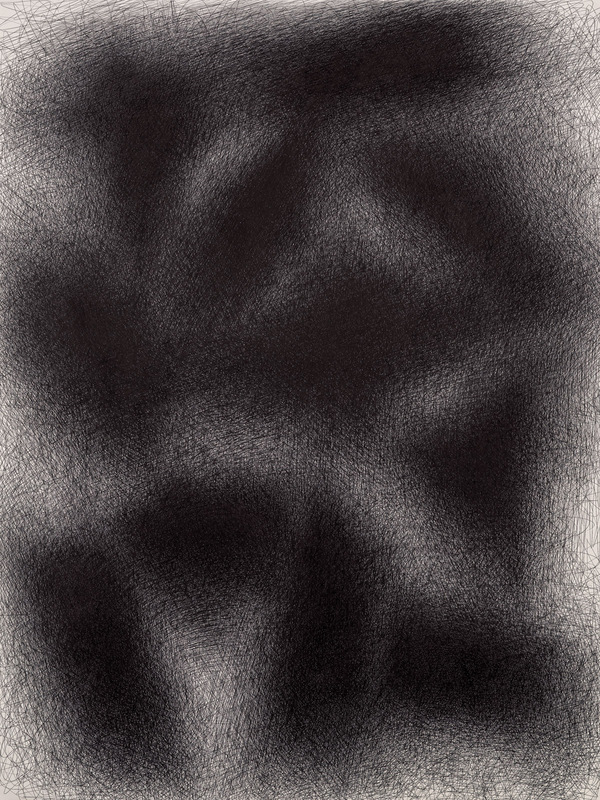 SOO IM LEE, Lone-Four, 2012, drypoint with transfer on paper, 18 3/4 x 17 3/4 inches (47.6 x 45.1 cm) sheet, 11 3/4 x 11 3/4 inches (29.9 x 29.9 cm) image, monoprint. ZHANG JIAN-JUN, Sumi-Ink Garden of Re-Creation Installation Drawing #2, 2002, sumi-ink on paper, 30 x 22 1/2 inches (76.2 x 57.2 cm). FILIPE ROCHA DA SILVA, Mould, 2012, collage and mixed media on paper, 29 1/2 x 47 1/4 inches (75 x 120 cm). RICHARD TSAO, Twin Peaks, 2010, water-based mixed media on canvas, 20 x 18 inches (50.8 x 45.7 cm). 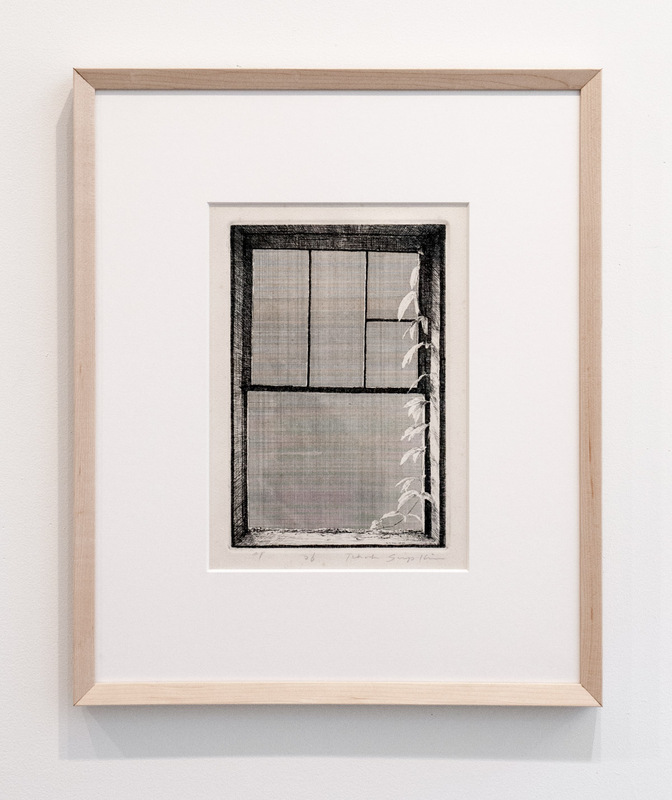 TCHAH-SUP KIM, Window, 1976, etching, A/P, 11 15/16 x 7 11/16 inches (30.3 x 19.5 cm). 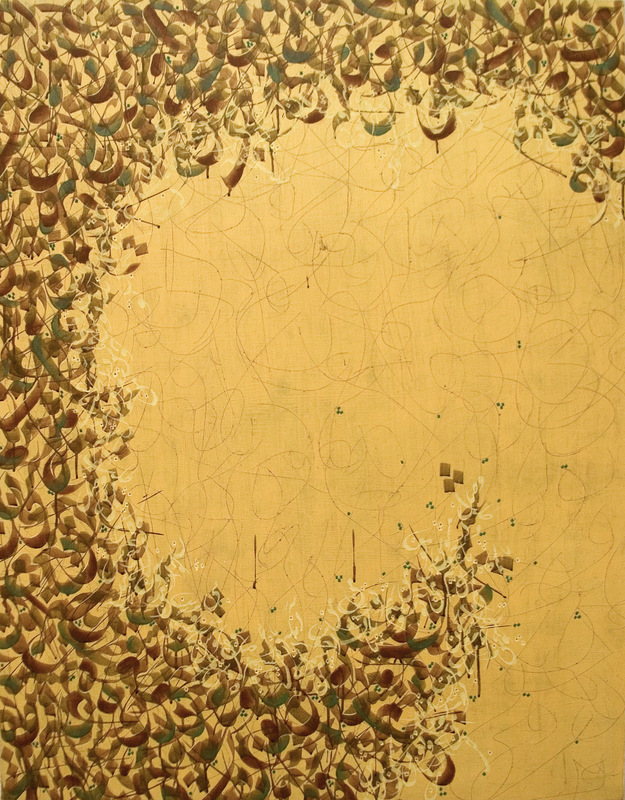 POURAN JINCHI, Untitled #15, 2010, ink and acrylic on canvas, 48 x 36 inches (121.9 x 91.4 cm). 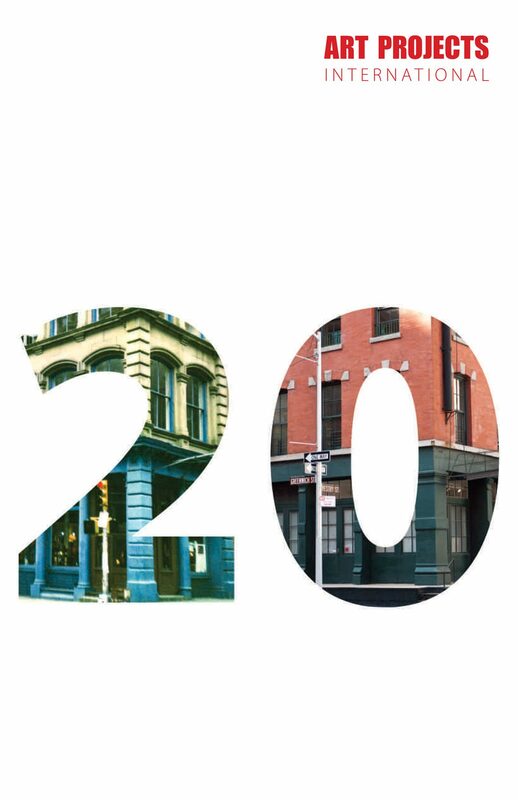 Art Projects International is pleased to celebrate the gallery’s 20-year anniversary with a special exhibition entitled 20 Years: Art Projects International. 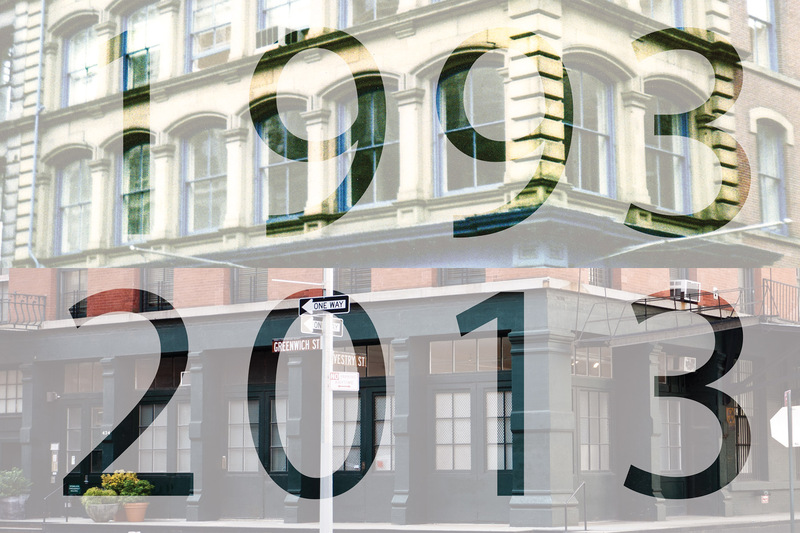 The exhibition will open on December 10, 2013 at its ground floor space and a newly added adjacent space on Greenwich Street in the historic district of Tribeca in New York. In 2014, the spaces will be combined to create a single expanded gallery space. This anniversary exhibition brings together a selection of key works by artists who have worked closely with the gallery over the years. It also will present a short history of Art Projects International, established in 1993 as one of the few pioneering galleries in New York dedicated to providing a platform for contemporary artists from Asia. 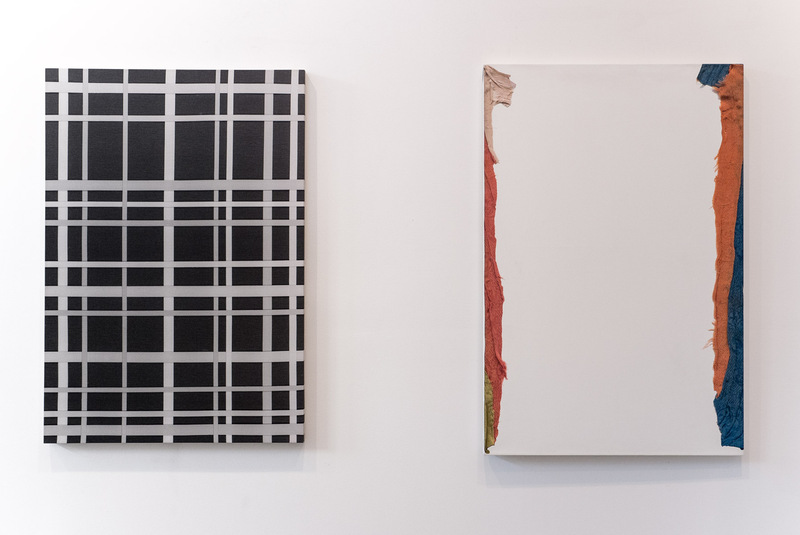 The gallery’s longstanding relationship with many of its artists will be highlighted by focusing on important early solo exhibitions at Art Projects International: Jian-Jun Zhang: Water and Fire (1995); Gwenn Thomas: Recent Work (1996); Il Lee – Line and Form: Drawings 1984-1996 (1997); Pouran Jinchi: Recent Paintings (2000). The exhibition will be supplemented with a multimedia presentation of archival images including many previously unpublished photographs from past exhibitions, events and projects. Twenty years ago, Art Projects International’s name, with emphasis on the word “projects” and exclusion of the word “gallery,” announced a bias for activity over locale and signaled a departure from traditional models. During this period, Art Projects International was at the forefront of introducing international artists with diverse backgrounds and remains focused on presenting new and significant artists from Asia. 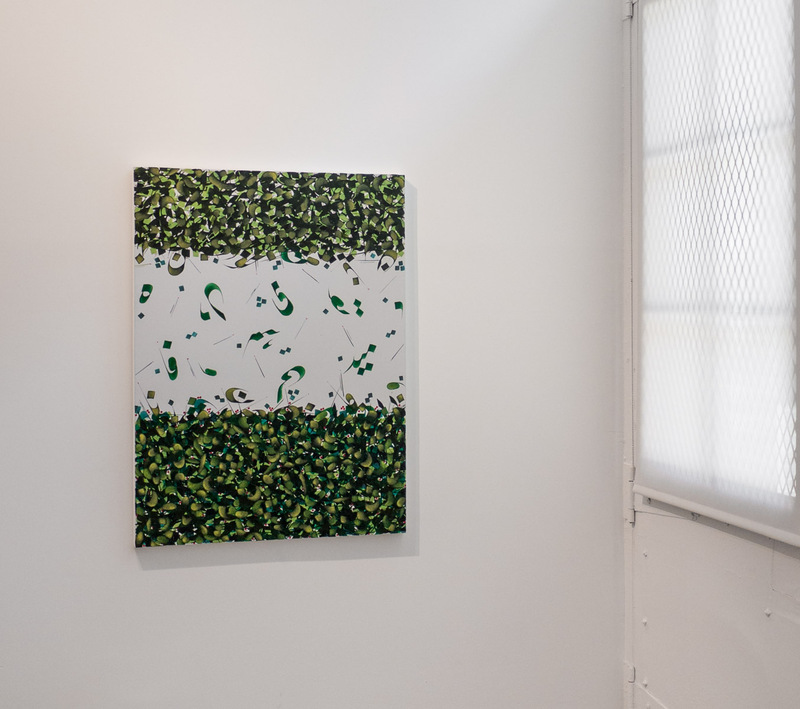 The gallery’s support of new and under-recognized talent has led to many artists having their first solo exhibitions in the United States, including the recent solo exhibitions of Seokmin Ko, Myong Hi Kim and Zheng Xuewu. The gallery continues to work in collaboration with institutions, large and small, developing partner relationships and initiating exhibitions and projects throughout the United States and abroad. 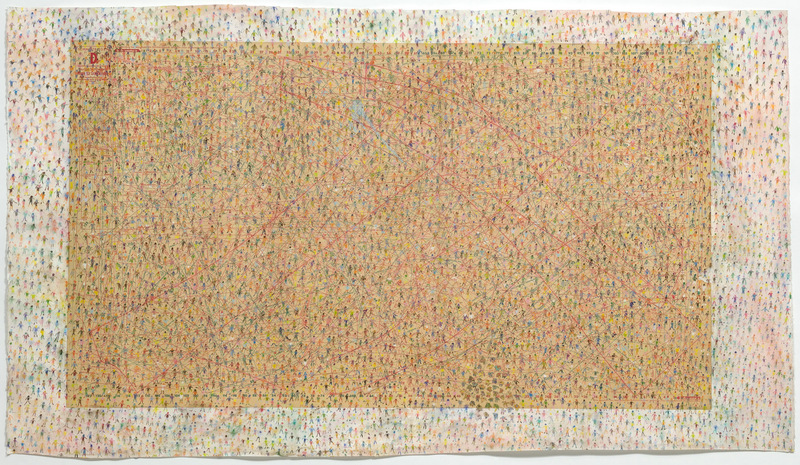 Included in the exhibition 20 Years: Art Projects International will be an early poetry painting by Pouran Jinchi, Untitled (Poetry #98-1) (1998), exhibited at The Vilcek Foundation in 2008, and a number of her sculptural prayer stone works, among them Prayer Stone 2 (2011), featured at the Asian Art Museum in San Francisco and similar to her work exhibited at the Museum of Fine Arts Boston earlier this year. 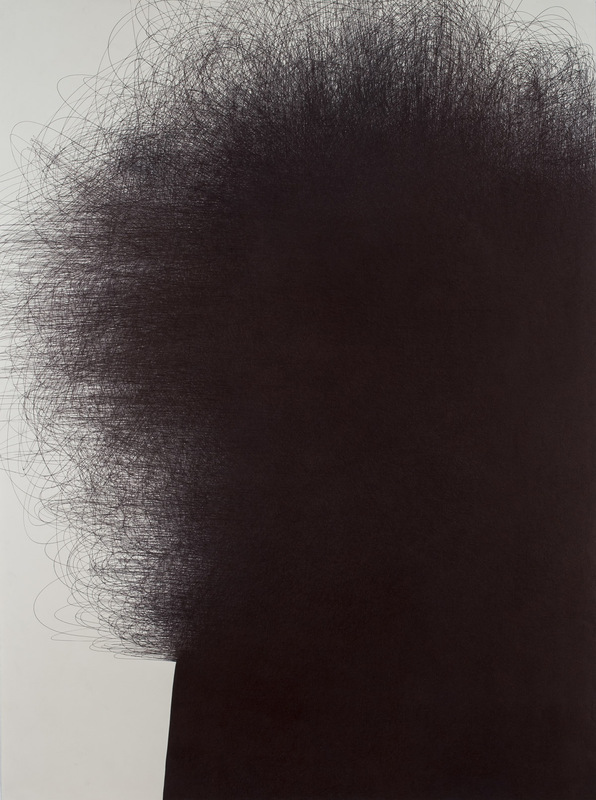 Also featured will be several large-scale signature ballpoint pen works by Il Lee, including Untitled 978W (1998), a powerful and energetic drawing featured at Lee’s mid-career retrospective at the San Jose Museum of Art in 2007, and Untitled BK-1201 (2012), which was featured this year in Extreme Drawings – Ballpoint Pen Drawing Since 1950 at The Aldrich Contemporary Art Museum. Among the works by Jian-Jun Zhang will be Sumi-Ink Garden of Re-Creation Installation Drawing #2 (2002), a sumi-ink drawing–a preparatory sketch of his major installation in The Fourth Shanghai Biennale at the Shanghai Art Museum–depicting his scholar’s rock sculptures, a variation of which was shown in Chinese Window at Kunstmuseum Bern in 2010 and will be featured in Ink Art: Past as Present in Contemporary China at the Metropolitan Museum of Art in New York opening in December 2013. Also included are an etching by Tchah-Sup Kim from the Triangle series (1976), represented in the collection of the Museum of Modern Art, New York; Gwenn Thomas’ Kino III, (1994), from her seminal, black and white, photo-painting works of the 1990s and Long Dream (2006), from her color pigment print on canvas work; and several of Richard Tsao’s color-saturated mixed media works like Salty Sea (2010) and Nam Wan (2010), featured at Gyeongnam Art Museum in South Korea in 2011. 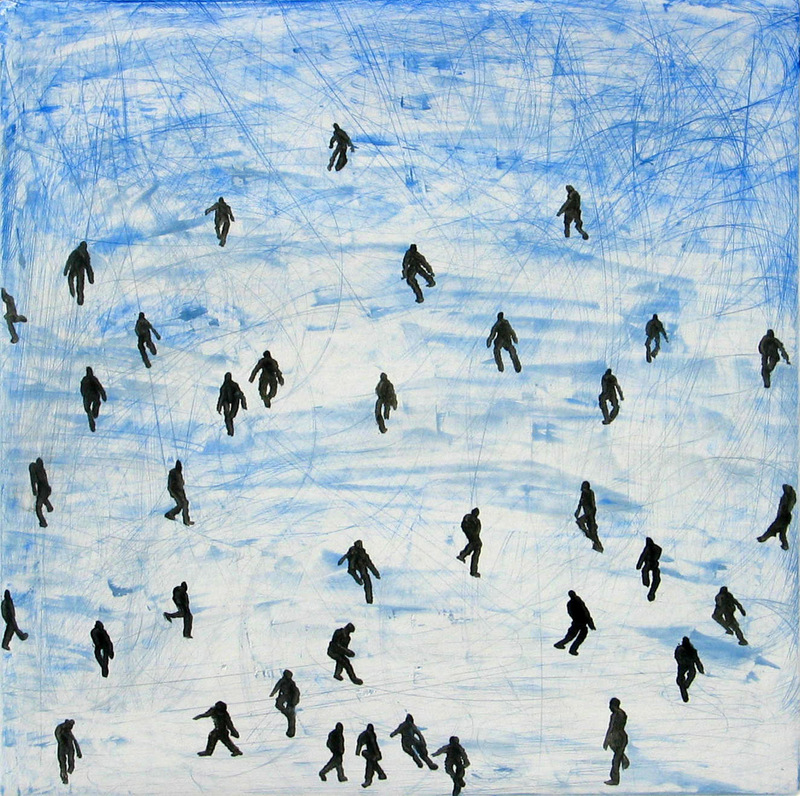 Myong Hi Kim contributes a major new pastel on chalkboard work, Winter (2013). A grouping of works from Seokmin Ko’s acclaimed photographic series The Square will be presented, and new works by Filipe Rocha da Silva, Zheng Xuewu and Soo Im Lee will also be featured. The book Art Projects International: Twenty Years is published in conjunction with the exhibition and provides an overview of the gallery’s mission, it’s artists and 20 years of exhibitions in its galleries, museums and other venues throughout the world. Jian-Jun Zhang (b. 1955, China) First solo exhibition at Art Projects International in 1995. Upcoming and recent museum exhibitions: Ink Art: Past as Present in Contemporary China, The Metropolitan Museum of Art, New York, 2013-14; Portrait of the Times: 30 Years of Chinese Contemporary Art, Power Station of Art, Shanghai, 2013; Shanshui, Kunstmuseum Luzern, Switzerland, 2011; and Chinese Window: Contemporary Art from the Sigg Collection, Kunstmuseum Bern, Switzerland, 2010-11. Gwenn Thomas (b. 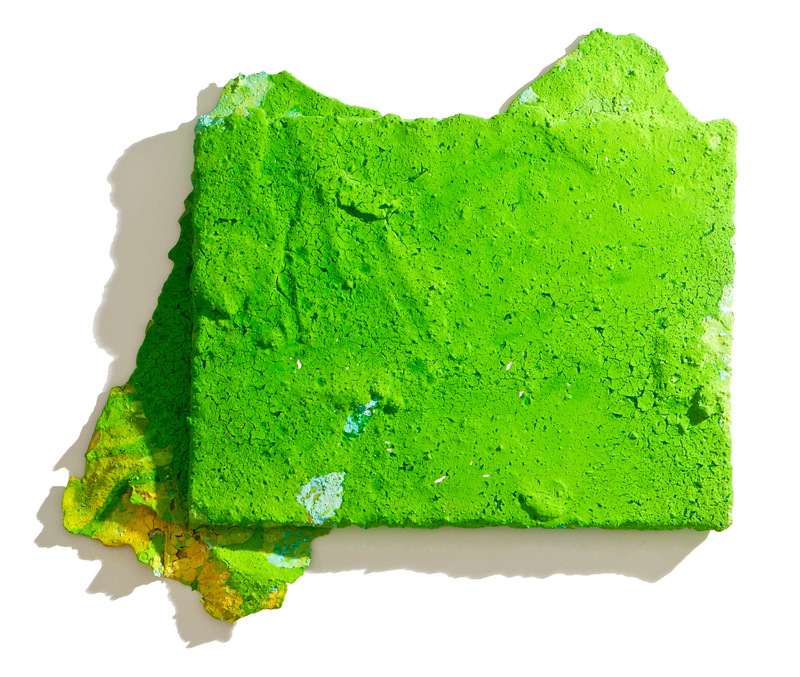 United States) First exhibited at Art Projects International in 1995. Recent museum exhibitions: Number 6: Flaming Creatures, Julia Stoschek Collection, Dusseldorf, Germany, 2012-13; Accomplices. The Photographer and the Artist Around 1970, Museum of Modern Art, Warsaw, Poland, 2011; Gwenn Thomas/Birgit Hein, I was a male Yvonne De Carlo, MUSAC (Museo de Arte Contemporáneo de Castilla y León), Spain, 2011; Photo+, Blue Star Contemporary Art Center, San Antonio, TX, 2007. Il Lee (b. 1952, South Korea) First solo exhibition at Art Projects International in 1997. Recent museum exhibitions: Extreme Drawing–Ballpoint Pen Drawing Since 1950, The Aldrich Contemporary Art Museum, Ridgefield, CT, 2013; Special Installation in Representation/Abstraction in Korean Art, The Metropolitan Museum of Art, New York, 2010-11; New Vision – Ballpoint Pen Drawings by IL LEE, Crow Collection of Asian Art, Dallas, 2010; IL LEE: Ballpoint Drawings, Queens Museum of Art, New York, 2007; IL LEE: Ballpoint Abstractions, San Jose Museum of Art, CA, 2007. Pouran Jinchi (b. 1959, Iran) First solo exhibition at Art Projects International in 2000. Recent museum exhibitions: New Blue and White, Museum of Fine Arts Boston, 2013; Phantoms of Asia, Asian Art Museum, San Francisco, 2012; Light of the Sufis, Museum of Fine Arts, Houston, TX, 2010, and Brooklyn Museum, New York, 2009; Tarjama/Translation, Herbert F. Johnson Museum of Art, Cornell University, Ithica, NY, 2010, and Queens Museum of Art, New York, 2009. Richard Tsao (b. 1954, Thailand) First exhibited at Art Projects International in 2004. 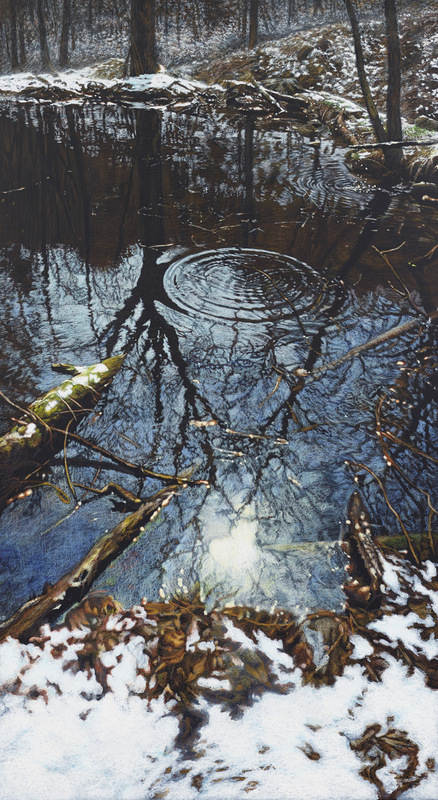 Recent exhibitions: American Chambers, Gyeongnam Art Museum, Changwon, Korea, 2011; Richard Tsao: Nam Wan, Art Projects International, New York, 2010; Richard Tsao: Flooding, Art Link, Seoul, Korea, 2008. Zheng Xuewu (b. 1964, China) First solo exhibition in New York was presented at Art Projects International in 2005. Recent museum exhibitions: Zheng Xuewu: The Century Document, Gwangju Museum of Art, Gwangju, Korea, 2010; From Nature to Mind, Museum of Contemporary Art, Beijing, 2009; National Art Museum’s Collection of Printmaking, National Art Museum of China, Beijing, 2005. Myong Hi Kim (b. 1949, South Korea). 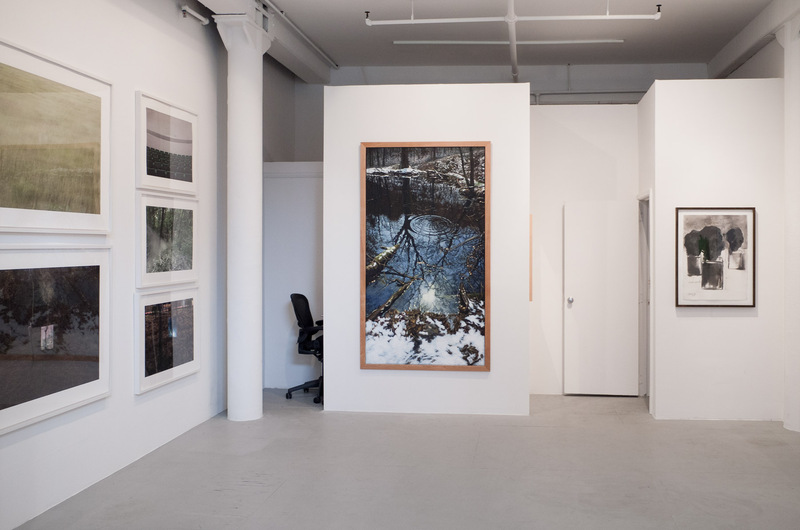 First exhibited in The Mountain at Art Projects International in 2006, and first U.S. solo exhibition was presented at Art Projects International in 2012. Recent museum exhibitions: 2009 New Acquisitions, Museum of Modern Art, Gyeonggi, Korea, 2010; Labor and Women, Ewha Women’s University Museum, Seoul, Korea, 2006; Whanki Foundation Collection, Whanki Museum, Seoul, Korea, 2005; Recent Acquisitions 2003, Seoul Museum of Art, Korea, 2004; 2004 Traveling Art Museum, National Museum of Contemporary Art, Kwachon, Korea, 2004. Tchah-Sup Kim (b. 1940, Japan). First exhibited in The Mountain at Art Projects International in 2006. Recent solo exhibitions: Tchah-Sup Kim, Gallery Hyundai, Seoul, Korea, 2012; Lee In-Sung Artist Award Exhibition, Mesena Hall, Daegu, Korea, 2009. Filipe Rocha da Silva (b. 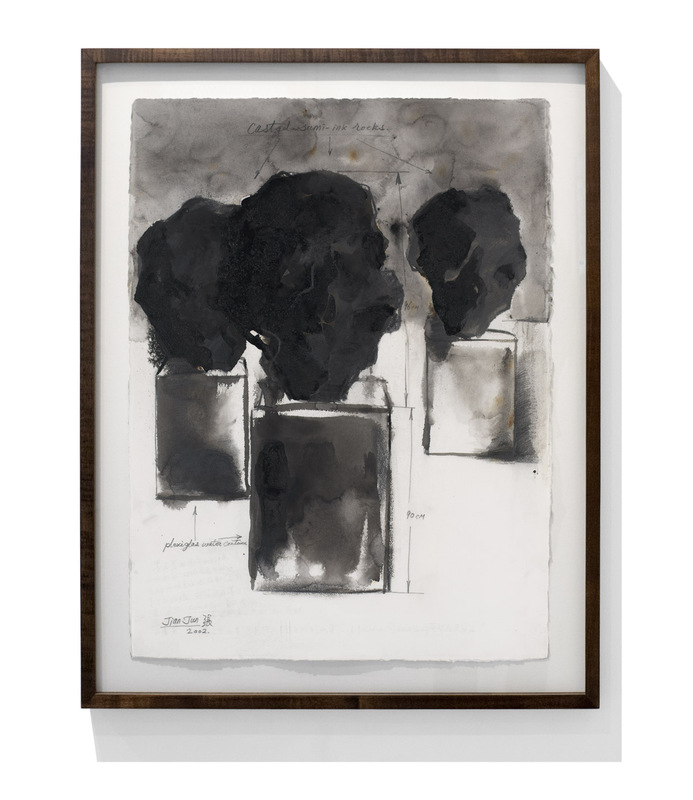 1954, Portugal) First exhibited at Art Projects International in 2009. Recent solo exhibitions: Centre Culturel Portugais, Rabat, Morocco, 2010; Self, Centro Cultural de Cascais, Portugal, 2009; Museu da Cidade de Lisboa, Lisbon, Portugal, 2005. Seokmin Ko (b. 1984, South Korea) First U.S. solo exhibition was presented at Art Projects International in 2012. Recent museum exhibitions: Seokmin Ko: The Square, SongEun ArtCube, Seoul, Korea, 2012; Testing Testing 1.2.3.: SongEun Collection of Korean Artists, SongEun Art Space, Seoul, Korea, 2011. Recipient of the 2012 SongEun Art and Cultural Foundation ArtCube Artist Award. Soo Im Lee (b. 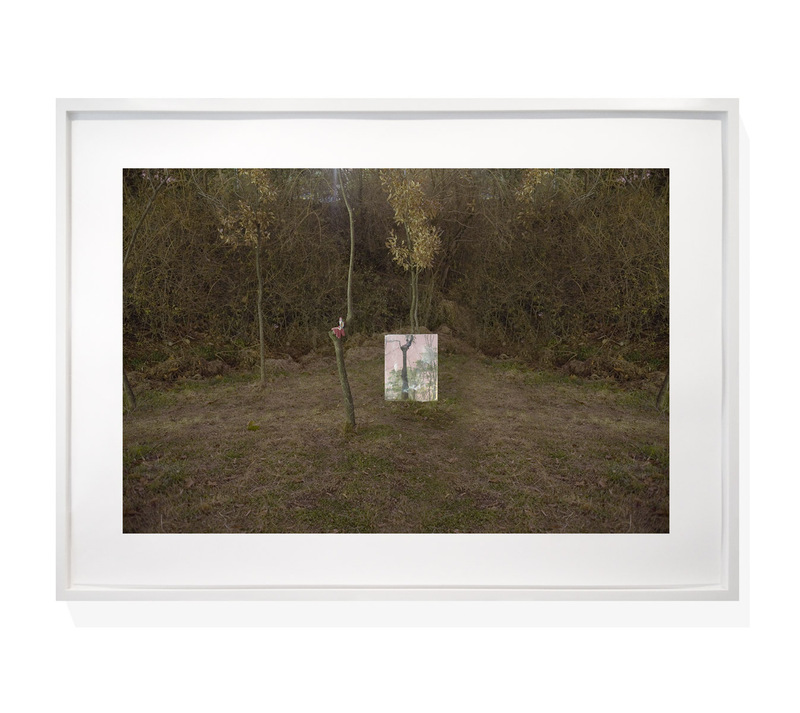 South Korea) First exhibited at Art Projects International in 2012. Recent exhibitions: Intersecting Lines, Art Projects International, New York, 2012; 911 Arts: A Decade Later, Commons Gallery, New York University, 2011.